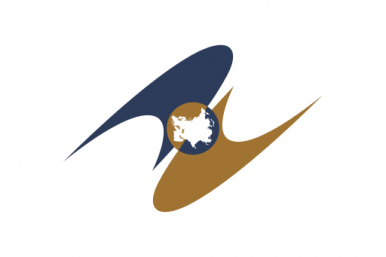 As suggested earlier this week, the Eurasian Economic Union has decided to cancel its planned April 8 meeting in Yerevan, Armenia, and will instead meet on April 13 in Moscow. Kazakhstan said its prime minister, Karim Massimov, wouldn’t attend the Yerevan meeting, but would attend if the meeting were moved to Moscow. The news that Kazakhstan plans to skip the EEU meeting if its in Armenia should cause a certain degree of deja vu for regional watchers. Last year in March, as the leaders of the 3-month-old EEU planned to gather in Astana, Armenia announced its president wouldn’t be attending. The summit, which the Kazakh, Russian and Belarusian presidents were all set to attend March 12-13 in the Kazakh capital, was pushed back to March 20. Armenia’s President Serzh Sarkisian didn’t attend, he was in Brussels. The EEU–comprised of Russia, Kazakhstan, Belarus, Armenia and Kyrgyzstan–officially launched on January 1, 2015, amid many external questions about the body’s ultimate purpose and feasibility. The recent uptick in violence between Armenia and Azerbaijan over Nagorno-Karabakh was something numerous analysts pointed out as the EEU formed could be a problem down the road. Azerbaijan, which is not a member of the EEU, has decent relations with many of the member states, in particular, Kazakhstan. As RFE/RL’s Armenian service phrased it, Kazakhstan’s refusal to attend in Yerevan was “an apparent show of support for Azerbaijan.” Kazakhstan’s decision could also be read as a reluctance to give the appearance of endorsing Armenia in the conflict between the two states. The decision to cancel the Yerevan meeting and replace it with a gathering in Moscow is sure to be further ammunition for the Union’s critics. It’s unclear whether Armenian Prime Minister Hovik Abrahamyan will travel to Moscow for the rescheduled meeting next week. Meanwhile, Russian Prime Minister Dmitri Medvedev is already in Yerevan, though his mission there has changed. According to TASS, Medvedev was scheduled to meet Armenian President Serzh Sargsyan on Thursday and will meet with Azerbaijani President Ilham Aliyev in Baku on Friday.